One of the showiest penstemons. 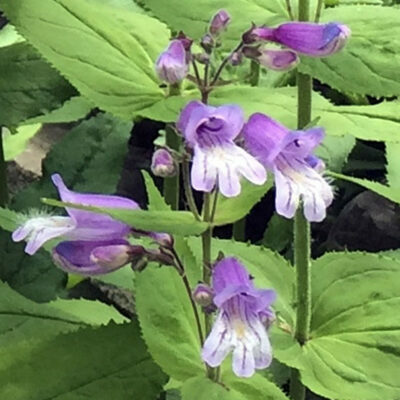 Sprays of purple tubular flowers bloom May-June with a re-bloom in the fall. Attracts hummingbirds. A northeastern native typically found in light shade in well-drained woodlands from Georgia north to North Carolina. Well-adapted to a northeastern climate where it thrives in gardens with similar conditions, as well as in full sun. Full-part sun. Native. Deer resistant. Height 18-24”. Spread 12”. Zones 5-9.